A computational framework for recognizing an object of interest in a complex visual environment is described. Arising from the problem of finding the destination address block on a mail piece, a general framework for coordinating a collection of specialized image-analysis tools is described. The resulting system is capable of dealing with a wide range of environments—from those having a high degree of global spatial structure (e.g., letter mail envelopes that conform to specifications) to those with no structure (e.g., magazines with randomly pasted address labels). The problem-solving architecture accounts for uncertainty in the imaging environment by using the blackboard model. 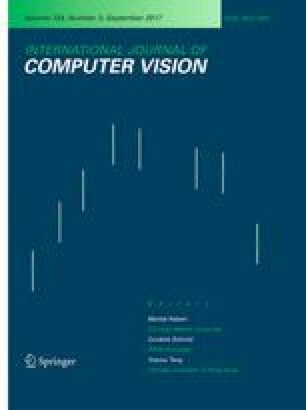 This paper discusses systematic derivation of a set of object recognition heuristics (knowledge base), specialized image analysis tools for extracting those features that are called for by the heuristics, and a control structure for integrating evidence and managing tools. Experimental results with a database of difficult cases demonstrating the promise of the methodology are presented. This work was supported by the Office of Advanced Technology of the United States Postal Service Under Task Order 104230-85-M3349.